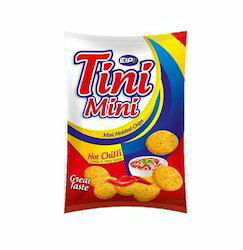 Our product range includes a wide range of tini mini potato chips. We have been marketing and supplying a tasty and crunchy range of Tini Mini Potato Chips. Longer shelf life, rich aroma and air tight packaging are some of the features which have helped to gain a competitive edge in the market. The products are recommended for their high quality and industrial standards. Moreover we are offering them at highly affordable prices.